This single storey studio flat which adjoins the owner’s home, was formerly a stable which has been carefully renovated to offer small and compact, yet cosy holiday accommodation. Situated in the village of Birchover, in the heart of the Peak District National Park with walking and hiking direct from the door making it a perfect base. Birchover is equi-distant from the popular market towns of Bakewell and Matlock, both having an array of shops plus leisure facilities to include swimming and golf. Chatsworth House, complete with visitors centre and its acres of unspoilt parkland are close by for your entertainment. Gas central heating, gas, electric, bed linen and towels included. Video and small library. Gas cooker. Microwave. Shared laundry facilities. Shared lawned garden with patio and furniture. Portable Barbeque. Parking (1 car). Holidays at Boskin Cottage run from Saturday to Saturday. For a better idea of where Boskin Cottage is, you can see Boskin Cottage on the map below. 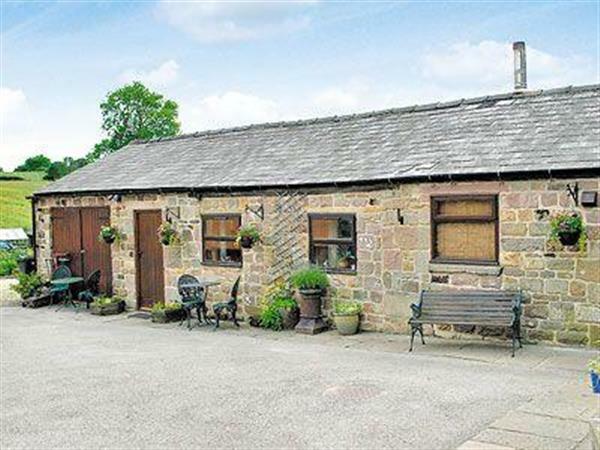 Boskin Cottage is in Derbyshire; should you be on the lookout for a special offer, you can find all the special offers in Derbyshire. It's always worth checking to see what is on offer at the moment. Do you want to holiday near Boskin Cottage (W7376), you can see other cottages within 25 miles of Boskin Cottage; have a look to find your perfect holiday location.